The success of Sinteco at Automatica, the international fair of robotics and automation, Munich – Germany. 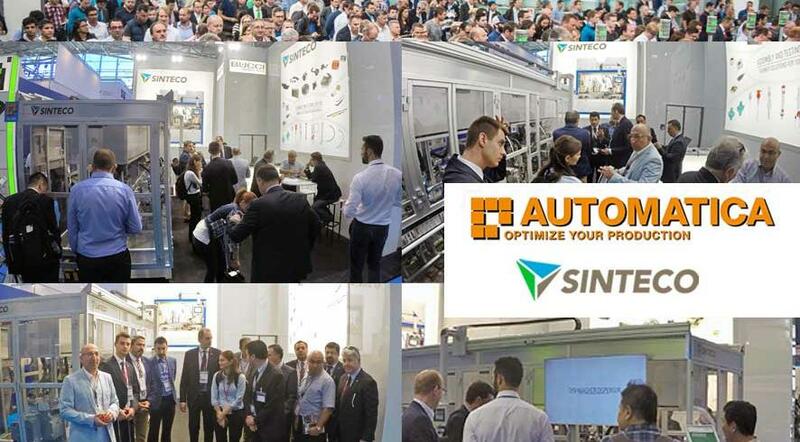 The 7th edition of Automatica in Munich has finished and Sinteco’s participation, from the 21st to the 24th of June, obtained a big reception and feedback both from the interested public of the field and from the customers and suppliers who visited the stand. 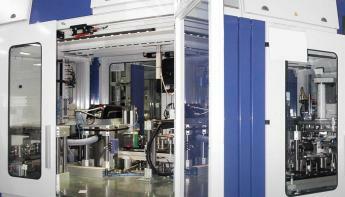 During the event, Sinteco exhibited an automated machine with linear transfer (indexing chassis system) endowed with intermittent cam mechanisms to assemble a particular medical device. The system was designed for high volume manufacturing with accurate and efficient results. The benefits of this system are: remarkable transfer speed, constant indexing time, no downtimes, reduction of noise and vibration, controlled acceleration. Sinteco has the right answer: the personalised solution and the appropriate machineries to satisfy every automation need in the assembly and testing of industrial components. The strength of Sinteco is in the quality of its solutions and in its team of passionate experts. The Sinteco team is motivated by their ambition of growing and their determination to be personally fulfilled in their own work as well as to reach important purposes in order to offer their clients the highest value possible. Sinteco’s solutions are machines and plants for automation and industrial robotics. The company meets the requirements coming from several industrial sectors: from automotive to healthcare, up to electronics and consumer goods. The Sinteco broad product range is divided into assembly and testing machines, conveyors with pallet recirculation system, robotic cells and handling systems, control and functional test lines, vibratory feeding systems. Within these areas, Sinteco has different platforms for individual solutions, focused on meeting your specific needs. This concerns the nature of the basic systems (linear transfer, rotary indexing table, modular cells, etc.) as well as their transmission drive (pneumatics, servo motors, etc.). The flagship project of Sinteco is the high cadence indexing chassis. 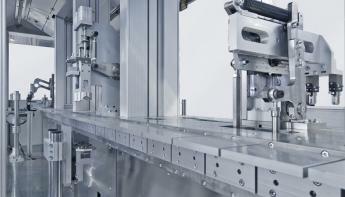 This system could be cam-controlled and thus suitable for industrial applications. The guaranteed quality of each automated system continues to meet the specifications and expectations of the customers even after millions of cycles. Thousands of experts in the manufacturing field have chosen the biennial Automatica as destination for discovering the latest industrial automation developments. This edition has shown itself to be a leader amongst other fairs of the field. An all-time record of registrations: 839 exhibitors coming from over 47 countries exhibited their solutions for the optimisation of productive processes; there was also a large number of specialised visitors, with 45.000 attendees coming from 100 countries! The event, organised by Messe München GmbH, has become the ideal meeting point for experts and managers of this field! Sinteco is grateful for the wide participation and appreciates its visitors, confirming the company’s success!! 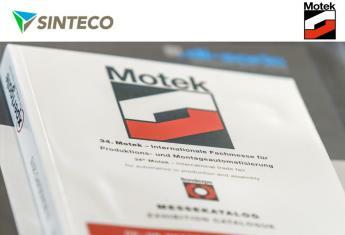 We will wait for you at the Motek trade fair (Stuttgart) 10th-13th October! !